Celtic and Irish Dance Association Inc.
Come, Enjoy and Belong to the CiDA. The Celtic Dance Association (CiDA) was formed locally in 2002 by like minded folk involved and interested in Irish Dancing. The CiDA is based in South Australia (SA, Australia). The CiDA is a ‘not for profit association’, supported by a group of dedicated and friendly folk. Our aim is to share, teach & learn Irish Dancing. The association comprises of registered dancing members and we encourage the support of non dancing members. 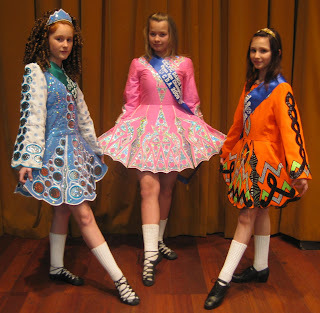 Teachers within the Association have years of experience in modern and traditional Irish dance. All teachers endeavor to expand their experience and knowledge in Irish dance. The opportunity exists for Senior Dancers to be involved in our Teacher Training Programme. See Teachers for more information. The CiDA encourages dancers to strive and achieve their best, at the same time enjoy what they are doing. Dancers have the opportunity to compete in Solo, Ceili, Figure and Freestyle Choreography events and perform in dance displays for the local and greater community. We welcome Pupils from the age of 3 years to 50+ years. Both Males and Females, with or without dancing experience are accepted. We even have a section for Senior Reserved dancers! See Events for more information on Display and Competitions. See Results for more information on Competition results. 8th December Celtic Festival, Globe Derby Park. 10:00am start.